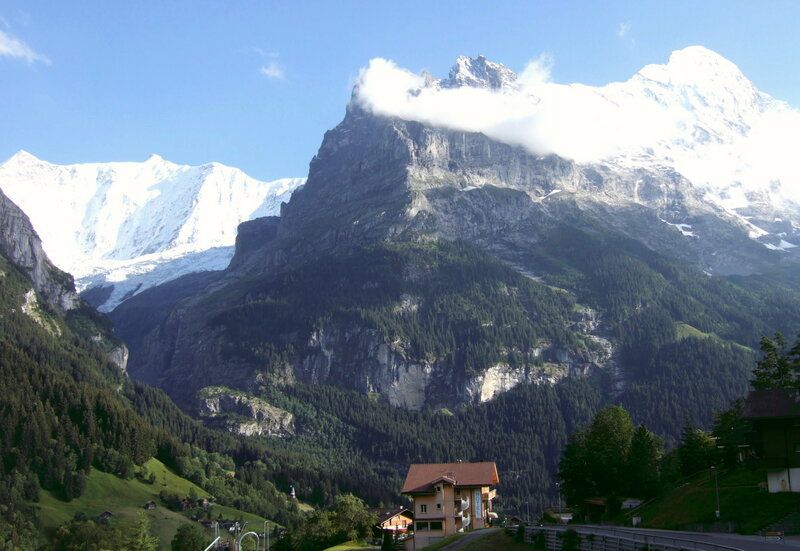 During the summer of 2007 I hiked through the Swiss Alps from Grindelwald in the Bernese Oberland to Zermatt in the Valais and wrote A Long Walk in the Alps about my experiences along the way. The story’s been out as a paperback for ages but I just got around to dragging it into the 21st century and publishing it as an e-book so there was a good excuse to look at all the old photos from the trip and share a few of them on here. 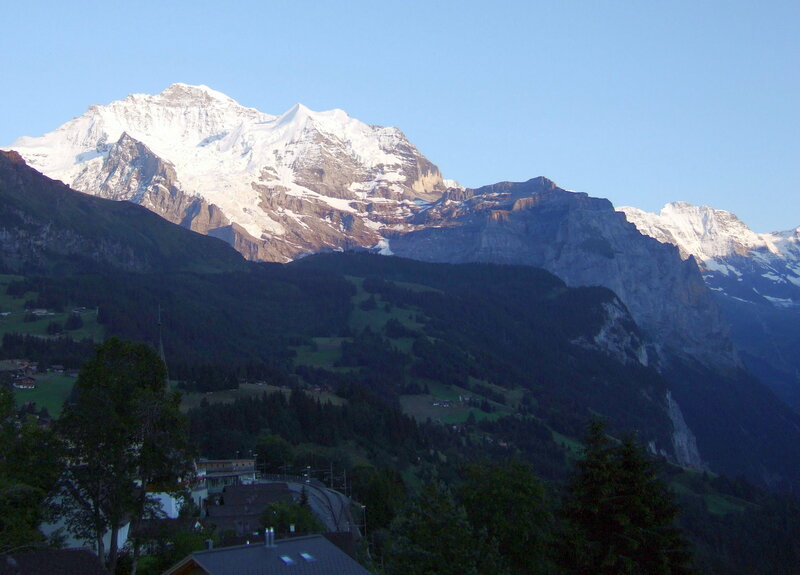 The view from my balcony in Wengen. Evening alpenglow lights the 4153m Jungfrau peak while shadows overtake the Lauterbrunnen valley down to the right. 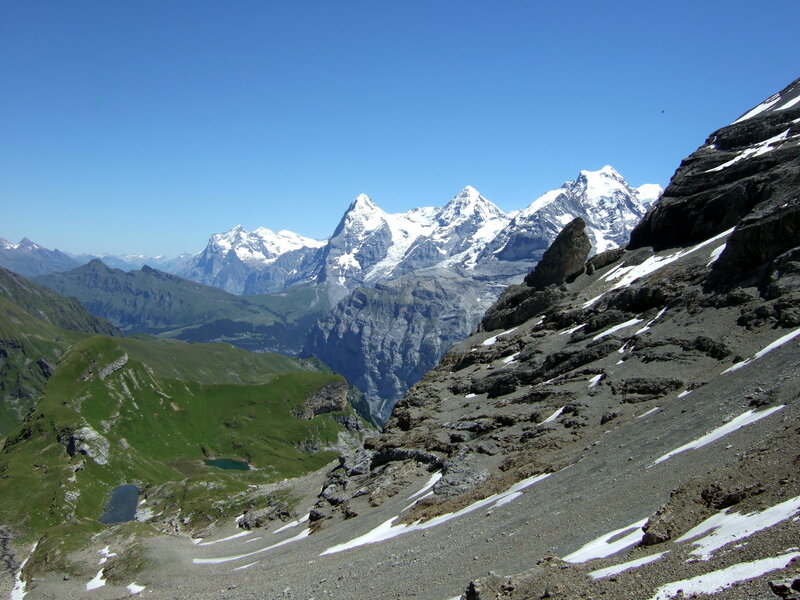 At 2894m the Augstbordpass was the highest point of my route from Grindelwald to Zermatt. 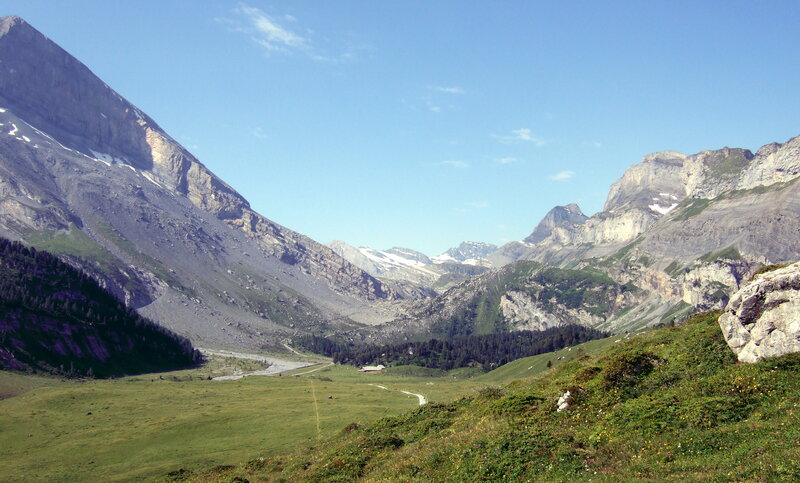 From here the route descends to St Niklaus in the Mattertal. 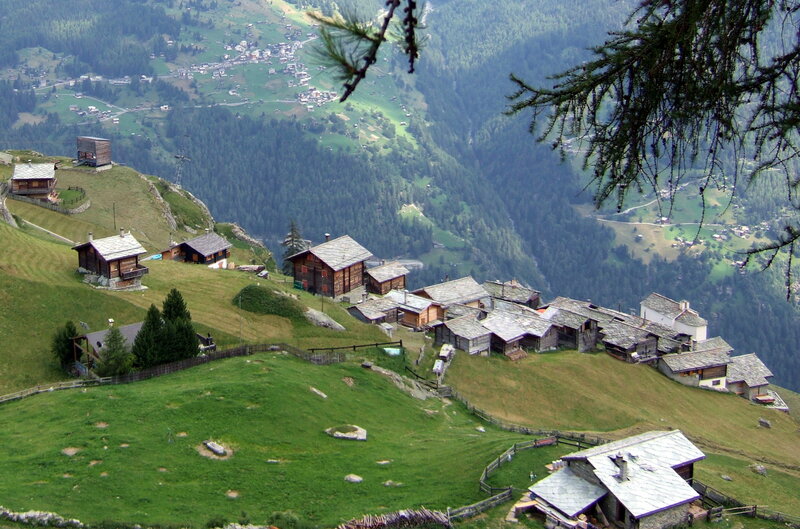 The alpine village of Jungen on its grassy shelf high above the Mattertal. 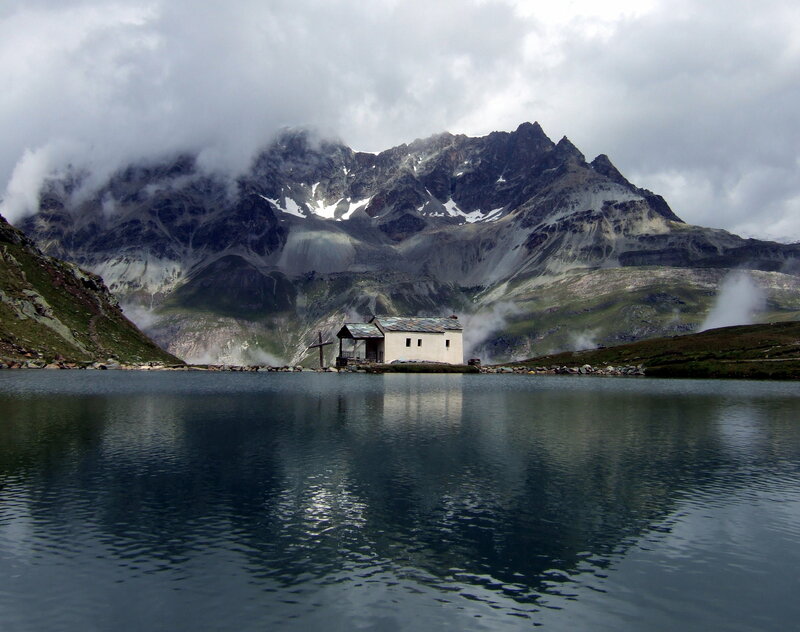 The tiny chapel of Maria zum Schnee – Maria of the Snows – nestles at 2583m beside the atmospheric Schwarzsee at the foot of the Matterhorn’s final pyramid. 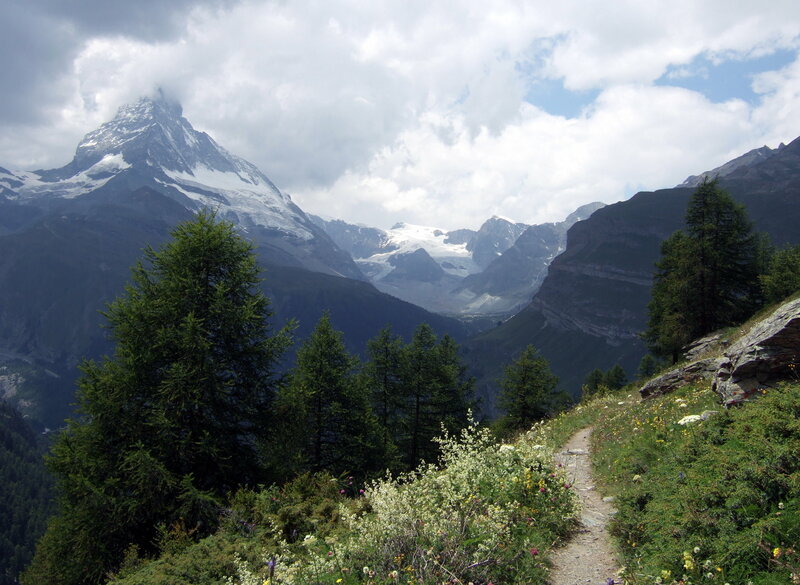 This is the top end of the Matterhorn Trail and the end of my route. Looking back it’s easy to forget the hardship of carrying my pack up the Sefeinenfurka in the blazing sun of a mini heatwave only days after shivering in the snow atop the Schilthorn but on balance I’d do the route again tomorrow – well not tomorrow as it’s still winter but sometime soon. 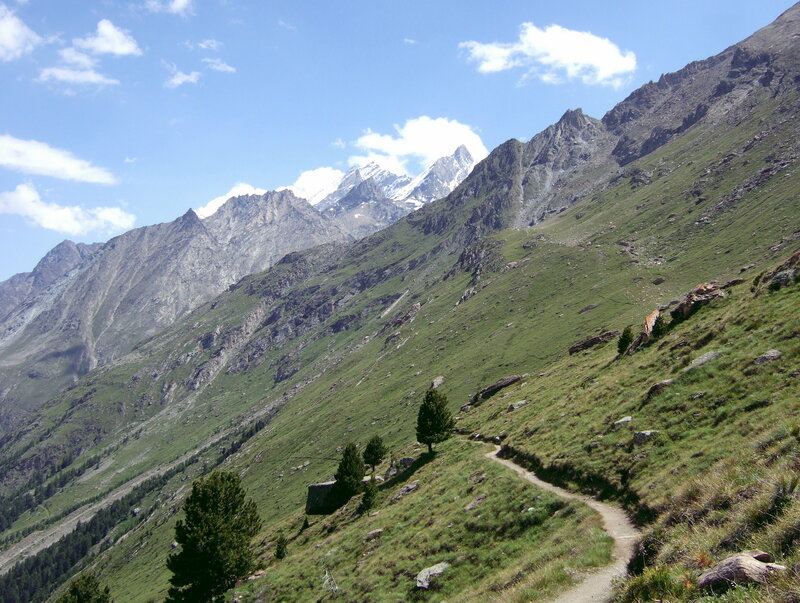 The rest of the photos are on my alpine trails blog along with a page per day route description while the full story is now available on e-book (with free preview of course) from Amazon (kindle) in the UK and US or from Smashwords if you need another format. 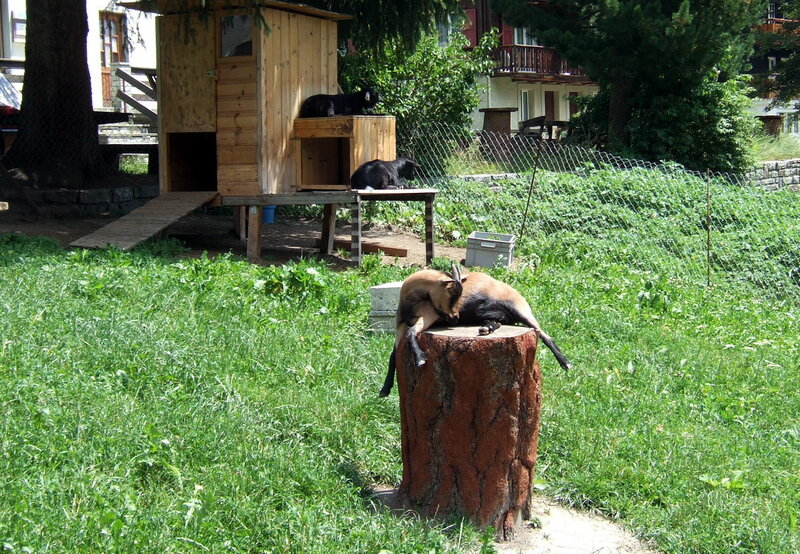 In the meantime instead of wandering the hills for days on end I have been helping to look after the kids whilst working on the Yuri Medev stories; the first of which, The Colonel of Krasnoyarsk is now available with a free preview on this blog as well as at the US and UK Kindle stores. 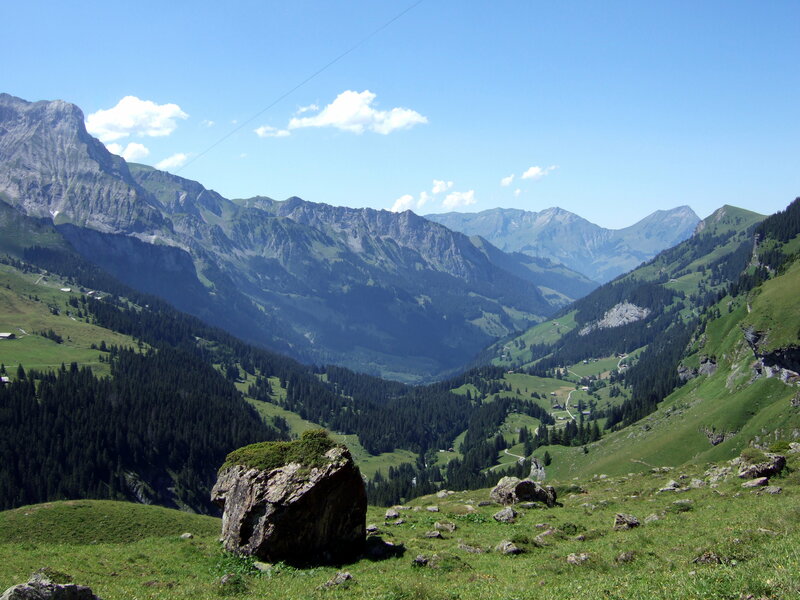 As for more trips like this… well it’s harder to organize with the kids the ages they are but I’ve had the maps out again and the Pyrenees are looking a possibility… then again I haven’t been to Austria yet. For the immediate future though it’s me in front of the TV for the next two weeks as it’s that Winter Olympics time again – Enjoy SOCHI 2014 and I’m very jealous of anyone who’s going! 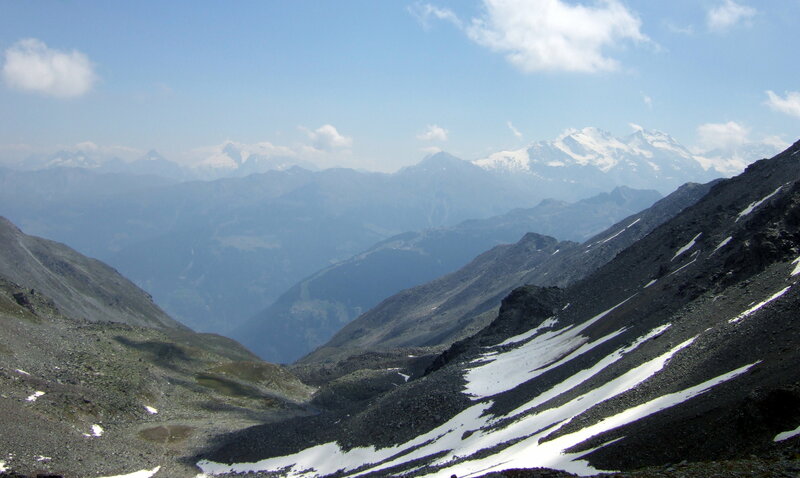 This entry was posted in Hiking, Switzerland and tagged Alps, books, Europe, hiking, landscapes, mountains, nature, outdoors, photography, photos, random, Switzerland, travel, walking, writing. Bookmark the permalink. I love some of the trail pictures you’ve got here. Thanks for leaving your comment about the recent U.S. Rail Trail court decision on the Great Plains Trail blog. It’s nice to know there are trail supporters around the world. I hope to enjoy England’s rail trails one of these days. Wow incredible photos! It looks amazing. This sounds a fascinating multi-day walk, Pete. 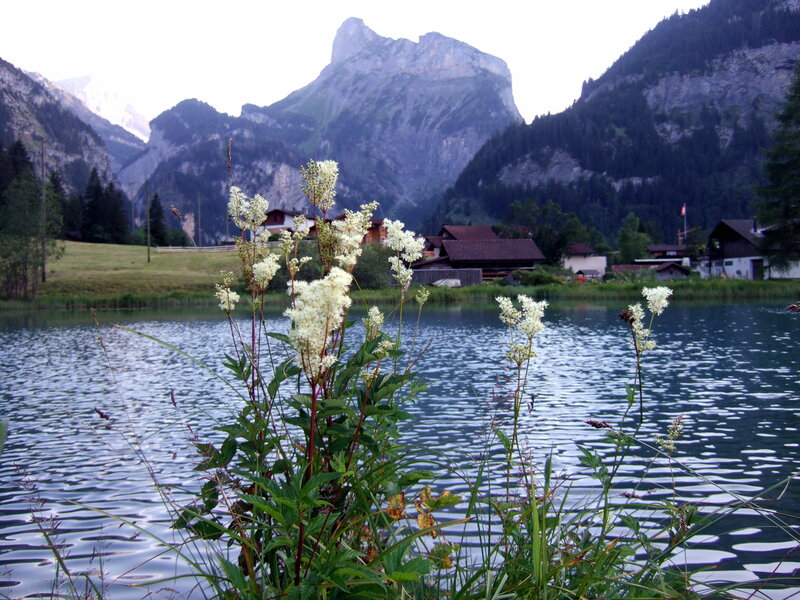 I’ve been to Wengen and Laternbrunnen both summer and winter – it’s where I learnt to ski back in the 1960s. 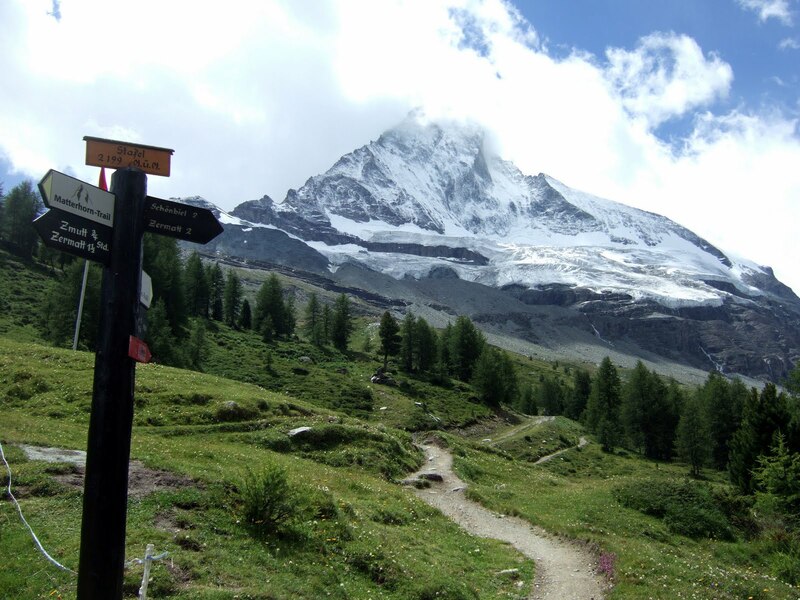 The Europaweg is certainly worth walking – a few years ago I took my daughter on a three day walk of the section from Sass Fee to Zermatt. 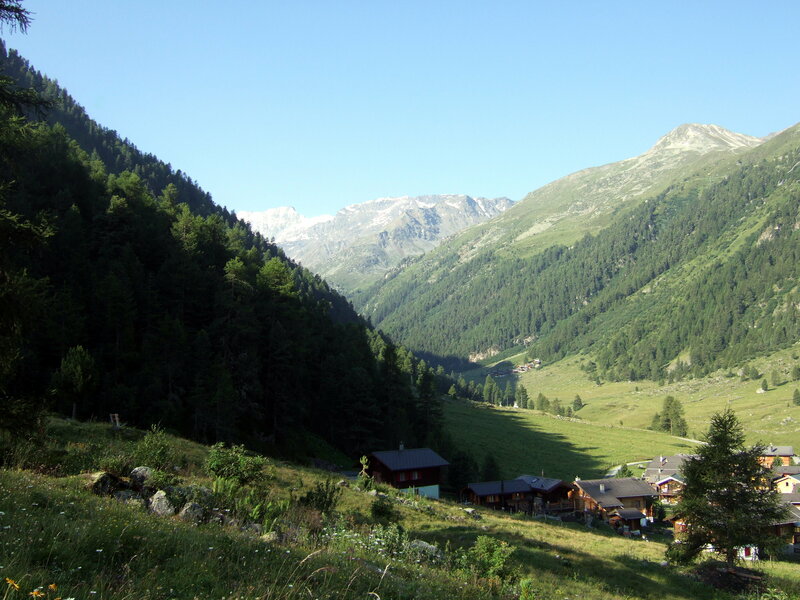 We stayed overnight at the Europa Hut on our last stop. The section from Grachen to that hut was a tough day across some massive boulder fields. 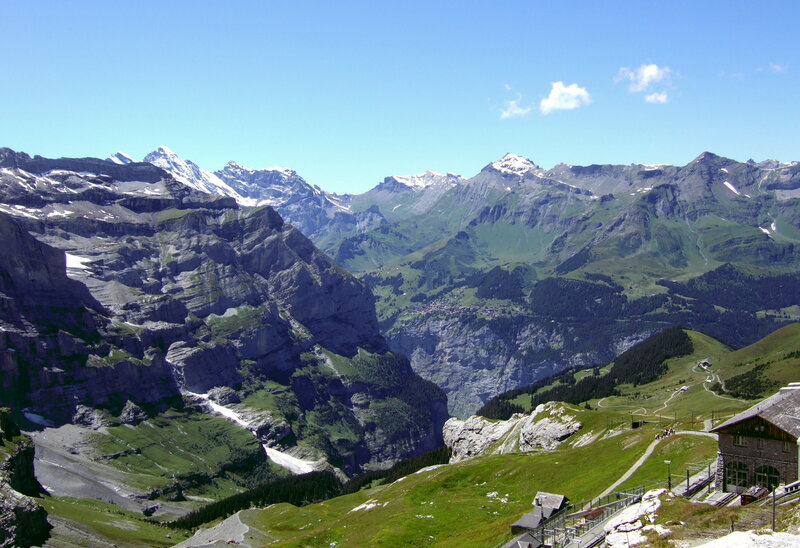 The Europaweg’s certainly a stunning path – another great section was the Eiger Trail (Alpiglen to Eigergletscher above Wengen). It’s an easy route but the views are just awesome.